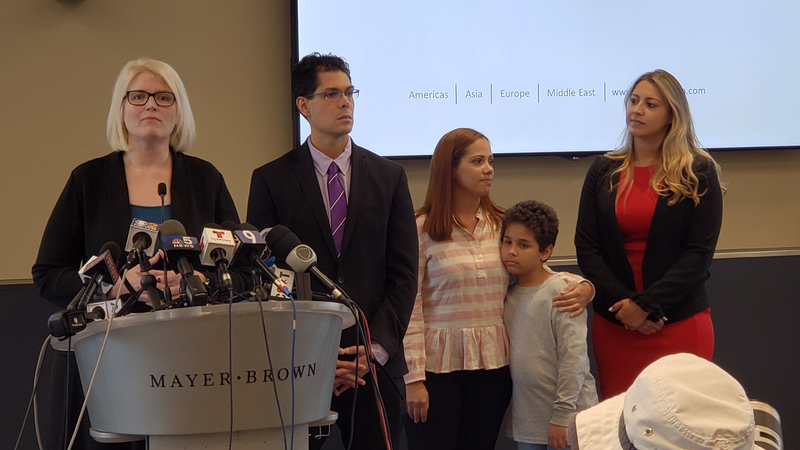 Per a judge’s orders, a 27-year-old mother from Brazil and her young son are being immediately reunited in Chicago, following a monthlong forced separation by U.S. immigration officials. Officials nonetheless took Souza’s son from her, and the Department of Health and Human Services ultimately transferred him to a Heartland Alliance shelter facility in Chicago. After Souza tracked him down, she saw Diogo (referred to in court documents by the initials “D.F.”) only once – this week – and was otherwise permitted to talk with him by phone for 20 minutes weekly.